Dierre y Acorazol: the double bit lock problem. In recent weeks we have published several entries highlighting the importance of the lock on the security offered by a door. On this occasion we want to deal with the problem of locks double bit locks. As we said, it is useless to make an investment in an armored door if the lock that it mounts is not adequate, since the cylinder is the most vulnerable element of the door. What are the double bit locks? To quickly recognize a lock of this type, the easiest thing is to look to the key. As can be seen in the picture, the keys of the locks are made up of an elongated steel rod that has an extension at its end on both sides, and that is where the teeth that make the combination are found. These teeth are the ones that, when entering the key in the lock, make that internal plates are aligned to the same level, allowing the unblock of the double bit lock, and making possible the turn of the key. Prestigious brands such as Dierre and Acorazol, chosed these types of locks because of the theoretical security they offered, but today it is no longer the case. That is why, from Juanjo Cerrajeros Alicante we recommend replacing it as soon as possible. The replacement of the double bit locks seems to us essential, however not in any way because we can turn a serious problem into a worse one. 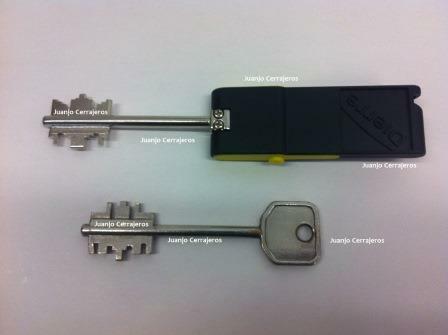 Standard Dierre or Acorazol double bit locks are also very vulnerable and can be opened with a simple drill. Hence we recommend that you know very well what the material you are going to install because the exterior appearance of all the locks is similar, however the protections that include some and other options vary enormously. Why aren’t they safe anymore? At the beggining the double bit system locks were new and very safe, reason why it was extended in outside doors, armored doors and in safes. However, the thieves also innovate constantly and, as in the case of bumping, have found easy and quick methods to open these double bit locks. And we do not talk about high technology, or systems that open the door by force. It has been a simple set of picks that has overthrown the safety of the locks of brands like Dierre and Acorazol. 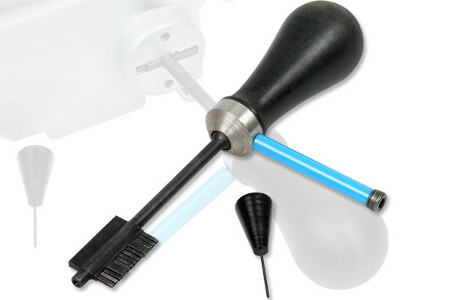 The main problem is that these tools to open fraudulently these types of double bit locks, today, can be easily bought online. It is even easy to find videos on how to proceed to open a double bit lock. The so-called “magic key” was pioneering, but now there are different models of picks for this purpose. We are not going to explain here what is the process to open a gates door as in the case of Acorazol and Dierre using these picks, but if we want to clarify the possible consequences. In addition to the problem of any burglary in a home, in the case we are dealing with, we face the absence of damage to the door as the thief enters our house as if he had the original key. We know that there have been cases in which the owners do not realize that they have been robbed until weeks later when missing certain objects. This absence of signs on the door that reveal the theft can cause problems with the insurance company depending on what contract we have, and get to the point that they refuse to compensate us. The simplest, quickest and most economical solution is to change the Dierre or Acorazol double bit lockfor another type of lock, thus eliminating the possibility of using the pick. However, if we do not want to fall into a similar situation, it will be necessary to choose the safety cylinder, a lock with additional protections and a protective defender and avoid other risks that we saw in previous articles. We are talking about choosing cylinders that are amtibumping, antipicking, anti-drilling, etc. In Juanjo Cerrajeros Alicante we have made hundreds of double bit replacements of locks of both Dierre and Acorazol and we are, therefore, experts that we can advise you on different solutions adapted according to your needs. 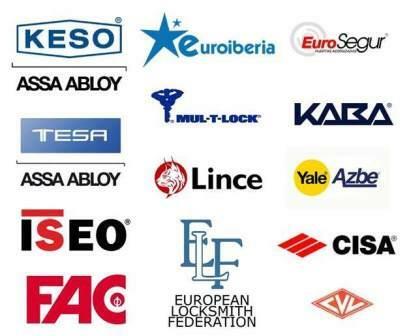 We offer you the best security guarantees and always with original spare parts from the best brands. In Juanjo Cerrajeros Alicante we can show you the different options of double bit locks that we have, as well as defenders and cylinders, we always try to give alternatives to the clients so that you are the ones who choose once advised. 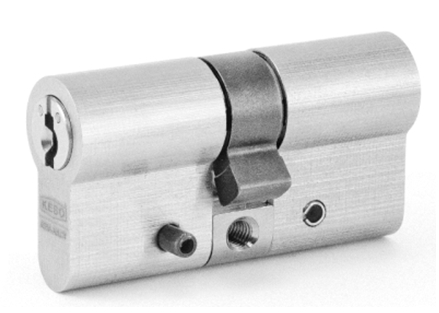 If you are thinking of replacing your lock we recommend the KESO 4000S Omega Swiss-made cylinder, which protects you against all these modern break-in techniques. Contact us without obligation to advise you. In about an hour our technicians can replace your lock with another European profile cylinder that gives you full confidence. What’s the price of changing a Dierre Atra to a KESO 4000S Omega? Good afternoon Pedro, thanks for contacting Juanjo Cerrajeros Alicante. We have some possibilities, according to the security class of the used components. All of the components we install are high quality ones, bit you have to choose between high or extreme security. There are three components involved in the job, the lock, the security shield and the cylinder itself. The shield and lock price difference is not so important in pricing but It is in security, so is easy to choose the best one. Once done this, you have just to select the cylinder. We recomend Keso cylinders, because they are one of the really bumping protected cylinders in the market, and as long as the cylinder is the only vulnerable area of your door once made tha change, we recomend that Keso cylinders. I’ll contact you by mail, to explain how you will turn your vulnerable door to a high security one. Don’t hesitate to contact us again for further information. I invite you to come to our shop, where I can show you the benefits of the ítems involved in the works, explaining how they will protect you.